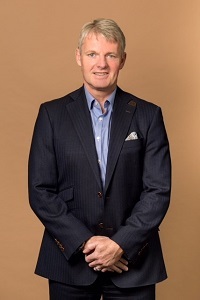 Citrix has announced the appointment of Colin Brookes as Senior Vice President of Sales and Service for the Asia Pacific & Japan region. With extensive experience in delivering sales excellence across diverse regions and technology arenas, Colin will be responsible for Citrix sales and services operations by driving revenue, executing an aggressive growth strategy, and cultivating the company’s partner ecosystem. With immediate effect, he will report directly to Mark Ferrer, Executive Vice President and Chief Revenue Officer. “I’m passionate about enabling businesses to simplify their operations as they equip themselves for an increasingly digital economy. I’m thrilled to join Citrix at this exciting time, to drive the company’s cloud-focused approach into the APJ region. Citrix is a world-class enabler of digital business with solutions that deliver the experience, security and choice that people and organizations need to innovate, engage customers and be productive – anytime and anywhere.,” says Colin Brookes, Senior Vice President of Sales and Services, Asia Pacific & Japan, Citrix. Brookes has over 20 years’ experience in international sales, operations and general management. Colin joins Citrix from SAP, where he most recently served as President and Managing Director of Australia and New Zealand. Prior to this, he held senior sales executive and operational roles in Europe and APJ with Software AG Ltd, FormScape Software Ltd, Knowledge Support Systems Ltd, and Computer Associates. In his new role, Colin will be based in Singapore. Lynette Clunies-Ross also joins Citrix on October 15, reporting directly to Colin Brookes, as Regional Chief Operating Officer. This new role is responsible for building the growth engine for Citrix in Asia Pacific & Japan, which includes strategy and planning, enterprise solution sales and readiness, and customer care ultimately to support deal execution and sales operations for the region. 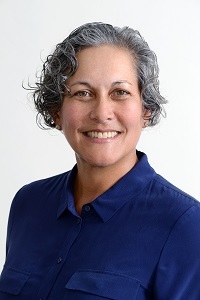 Lynette Clunies-Ross is a tech industry veteran with over 25 years of experience in senior technical, sales and operations leadership roles in Asia. Most recently, she has served as Vice President, Strategy and Operations, Asia Pacific, for Oracle. She has held similar senior roles with SAS Institute, and prior to SAS, spent her formative years in sales, and later global strategy and sales transformation at IBM. Originally from Australia, Lynette has lived and worked across the region and will be based in Singapore. “The Asia Pacific Japan region covers a complex range of customer needs, including several markets with the very-highest technology expectations. As an integral-enabler of cloud transformation, with unified workspace, networking, and analytics solutions that both increase productivity and deliver a superior experience, Citrix is putting in place a very experienced team. Both Colin and Lynette bring industry-leading expertise that will provide invaluable support and insight for customers in APJ as they embark on their cloud journey. I am confident in their ability to drive the business forward and help Citrix achieve its cloud-centric future,” says Mark Ferrer, Executive Vice President and Chief Revenue Officer, Citrix.